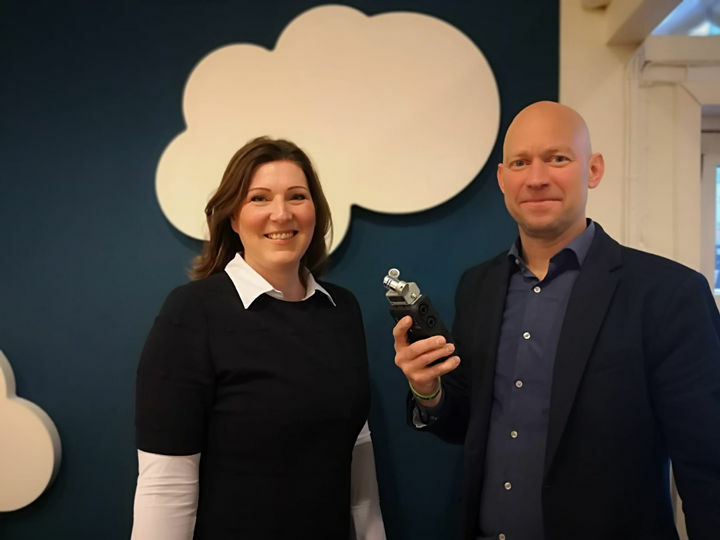 FotoWare's CEO, Anne Gretland, was recently invited onto Norwegian tech podcast Digitaliseringspådden by Already On, to talk about why marketing is the new sales, and give insight about inbound marketing, marketing automation, and the flywheel methodology at FotoWare. The full podcast is in Norwegian here, but the video below is a short segment which was filmed in English. What is the toughest challenge with inbound marketing? Why is automation important to your inbound marketing strategy? What is the flywheel and what does it mean to Attract, Engage and Delight? Are you interested in keeping up to date with what's going on in the marketing world? Subscribe to Marketing Moments of the Month, the monthly newsletter that gives you the essential stories, tips and tricks from the industry so you can keep your finger on the pulse. Digitaliseringspådden is a Norwegian tech podcast covering topics including digitalization, artificial intelligence (AI), privacy (GDPR) and more. You can listen to the full episode of the podcast in Norwegian here.